As the season draws to a close, a lot of us would seem discontent for the lack of a proper title race. With about eight games to go, United have all but wrapped up the title with a 15-point lead at this point. The fight for the European places is still alive, but the real drama could be the fight for survival. The battle for survival will in all probability go on till the last day. With the new 5-year television rights deal set to commence next year, leading to a collective USD 3 billion revenue for teams, survival is of paramount importance. The revenue from this mammoth TV deal has the potential to transform the fortunes of any team, especially those with smaller resources at the wrong end of the table. This should be an added incentive for the seven teams lodged in the relegation battle, separated by just four points. I’m excluding QPR and Reading, both of whom, seven points adrift from safety, are likely to face the drop. With back to back victories against Liverpool and Chelsea, Pochettino’s appointment looks justified. With just three defeats from their last ten games, Southampton are on a relatively better form than their other relegation rivals. Add to this, a relatively easier run of fixtures (toughest games being Spurs away and Stoke at home on the final day) and a better goal difference than the teams below them, survival looks highly possible. Not so long ago, Stoke had one of the tightest defence not just in Premier League, but across Europe. And now they are on the verge of slipping back in to Championship. Stoke have the worst form among their relegation rivals with just one win from their last ten games (a five point return from a possible 30), including four defeats from their last five games. Without form, a lack of firepower in the final third, and an uninspired style, Stoke certainly look doomed. But with five of their last eight games against fellow strugglers, there is still some hope left for the Potters. Results in those five games are vital for them to avoid relegation, with their fate likely to be decided on the last day. Verdict: Too close to call. But should survive. Norwich City have a straight forward route of avoiding relegation – they have to get at least two wins out of the games against Reading, Stoke, Aston Villa and West Brom. With three games against fellow strugglers, including two at home, Norwich seem to have an easier path as compared to others in the list. With an away fixture at Etihad on the final day, Norwich need to ensure their safety before that, and that seems likely. Fulham (Home), Sunderland (Home), West Brom (Away), Liverpool (Home), West Ham (Away), QPR (Away), Arsenal (Home). From breaking into the top four to scrapping for top flight survival. Only Newcastle United are capable of such things. Injuries and a lack of strengthening last summer have led Newcastle into this mess. However, they have added much needed strength in the winter window, and that seems to be the only reason that can save Newcastle. With fixtures against Liverpool, Arsenal and a derby against fellow strugglers Sunderland (what a game that could turn out to be), Newcastle need to keep their focus in the league rather than in Europe. I am pretty sure that Alan Pardew would be happy to get knocked out of the Europa League if it means they can avoid relegation. Chelsea (Away), Newcastle (Away), Everton (Home), Aston Villa (Away), Stoke (Home), Southampton (Home), Tottenham (Away). The Sunderland board made the brave/stupid decision to sack Martin O’Neil following the defeat against United. That decision will either turn out to be an inspired one or an epic blunder, depending upon where they play next season. Win-less in their last eight games, with a return of just three points from a possible 24, O’Neil should have seen his sacking coming. 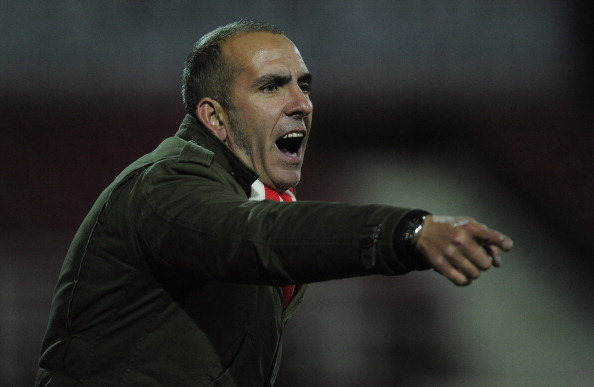 Paolo Di Canio has been appointed as the new manager. Well, Sunderland fans can hope that he can scare the life out the players to get the needed results. The bad news for Sunderland is that their captain Lee Cattermole and their most important player, Steven Fletcher, are out for the season or a minimum of six games. Although Cattermole does not offer much in attack, he provides a desire and a drive, which is otherwise clearly lacking in this side. Sunderland need to get at least couple of wins in the consecutive games against Villa, Stoke and Southampton to stand any chance of retaining their top flight status. Verdict: Too close to call. Could go down. Wigan have a taste for the dramatics! Similar to their dramatic survival last season, they are in the middle of replicating the same. With three wins in the last five, Wigan are on the up. This is the kind of form that will lead to safety, and they seem to have the experience in avoiding the drop. Although Wigan have a game in hand compared to others in this list, they have a much harder set of fixtures. With tougher games against City, Spurs and Arsenal to come, games against QPR, Swansea and Aston Villa are must wins. Besides this, Wigan do have the undesirable distraction of an FA cup semifinal against Millwall and a potential final as well. These are probably the most crucial set of games in Roberto Martinez’ career. Leading Wigan to safety coupled with an appearance in FA Cup final would do a great deal in helping Martinez land a bigger job next season (Everton possibly). But for now, Premier League safety remains the priority. Four years seem to be a long time. But that was when Villa were fighting for European places. The fall from those dizzying heights has been a gradual process. 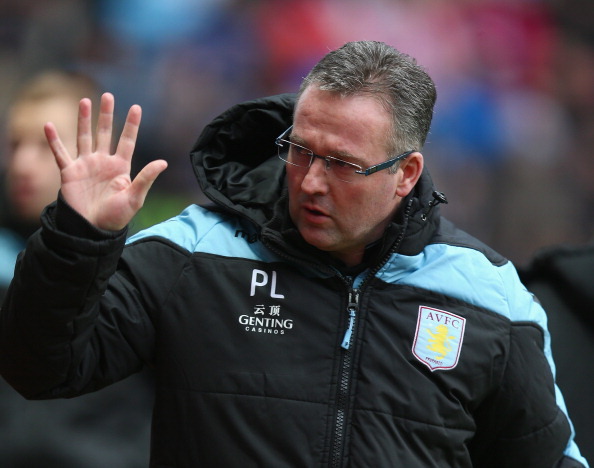 Paul Lambert has had a tough time, grinding out results with a young and inexperienced squad. If Villa are to survive, they need maximum results in at least two relegation six-pointers against Stoke, Sunderland, Norwich and Wigan. It remains to be seen whether the young Villa squad has the resolve to survive a relegation battle. With high debt and a low value squad (except Benteke), there are not many resources for Villa to mount a swift return back to Premier League in case of relegation. Hence survival is of utmost importance to them.